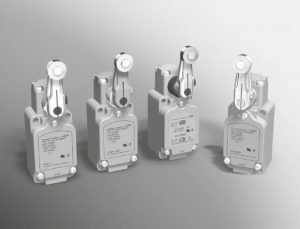 LS Series General Purpose Compact Limit Switches. The venerable LS series has been an industrial standard for decades. This general purpose limit switch has a robust construction and comes in an extensive range of models for use in a wide variety of applications. It is a 2 circuit double break basic switch (DPST) with an oil, water and dust proof housing. A wide range of options are available including neon lamp, LED lamp, gold-plated contacts, double seal, long-life, corrosion resistant, heat resistant, cold resistant, spatter guarded, connector type, and more.